0.8m2/hour for color printing with high printing resolution. 1. UV digital Flatbed printers use uv inks made of acrylic monomers that are then exposed to strong UV-light to cure, or polymerize them. This process allows for printing on a wide variety of surfaces such as wood or metal, carpet, tile, and even glass. The adjustable printer bed makes it possible to print on surfaces ranging in thickness from a sheet of paper often up to as much as several inches. 2. 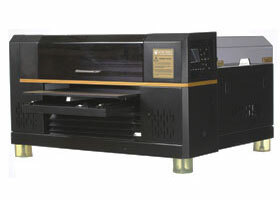 UV printing has been used for many industries, but the cost and size of the equipment has been prohibitive. Utilizing a low-watt LED UV light and specialized proprietary UV LED inks, who produces fewer waste cartridges and less indoor air pollution. 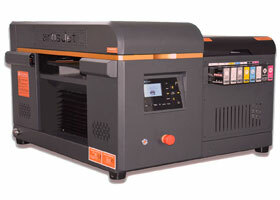 artisJet has developed a small format and economical uv led flatbed printers. No matter what material, what shape, and what size of the material you want to print on, as long as it has a flat surface and does not exceed the maximum size of printable area of the flatbed, you can print on it. 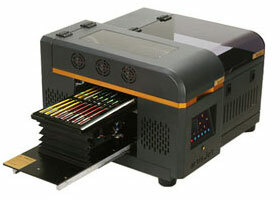 The resolution of prints produced by these devices is also very high and they can print in quick speed. 3. artisJet UV led flatbed printers have solved print durability issues related to abrasion and solvents, while also delivering more effective, opaque white ink performance for higher-quality printing on dark materials. It can direct to printing on wood, ceramic tiles, sign, phone case, ball pen, customized promotional items, industrial label, braille sign, golf ball, PCB board, glass and plastic.